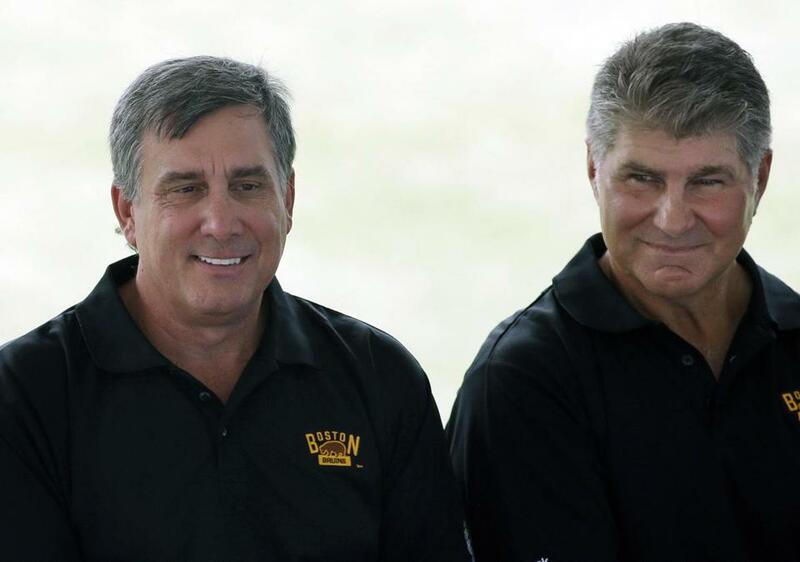 Cam Neely and Ray Bourque will be back on the ice for the Bruins in the 2016 NHL Winter Classic Alumni Game on Dec. 31. Rosters were announced for the 2016 NHL Winter Classic Alumni Game Tuesday for both the Boston Bruins and Montreal Canadiens, and the lineups are impressive. More than 40 former players and coaches are scheduled to participate in the renewal of this legendary rivalry in this unique outdoor setting on Dec. 31 at Gillette Stadium. Those returning for the Bruins include Ray Bourque, Cam Neely, Terry O’Reilly and more; Don Cherry and Mike Milbury will serve as Boston’s coaches. Yvan Cournoyer, Jacques Demers and Guy Lafleur lead the Canadiens alumni with a roster that includes Larry Robinson, Guy Carbonneau, Jose Theodore and Mats Naslund, among many other notable names. Additions or changes to the rosters may be made leading up to the game. The Alumni Game will consist of three 20-minute periods (running time) and two 12-minute intermissions. NBCSN will broadcast the alumni game nationally. Donald Audette, Christian Bordeleau, Francis Bouillon, Benoit Brunet, Patrice Brisebois, Guy Carbonneau, Lucien Deblois, Gilbert Delorme, Eric Desjardins, Normand Dupont, Gaston Gingras, Rick Green, Mike Keane, Alex Kovalev, Sergio Momesso, Mats Naslund, Chris Nilan, Lyle Odelein, Oleg Petrov, Stephane Quintal, Stephane Richer, Larry Robinson, Richard Sevigny, Steve Shutt and Jose Theodore. Simon Arsenault, Yvan Cournoyer, Jacques Demers, Stéphane Gauthier, Réjean Houle and Guy Lafleur.